Curious on how to approach strangers? This cold market recruiting strategy might help you break the ice! Check out the video on cold market tips for you. IF you not sure how to talk to people you don't know, this is a common situation. But it is important to know on to communicate with prospects and strangers. You wanna learn how to do this, click here for details on cold market recruiting tips to help you. See if this is a fit for your goals. Should You Start in the Cold Market? Even if your family or friends are not fond of your network marketing business, I highly suggest you still start with your warm market anyways. You don't have to get them to do the business but you can introduce them to your product. Cold market recruiting is good training to talk to people you don't know because when you approach them and there is resistant, you probably won't ever see them again. First of all I lead with a compliment or look for some type of connection to get the conversation going. The conversation would go something like this, “That's a nice shirt you got on, okay you work there? (pause and wait for a response) That's cool what do you do?” They tell me what they do(wait for another response), “That's great, how do you like working there?” I'm getting them to open up about their job and if they enjoy what they do there. You don't want to carry this conversation on 30 – 45 minutes, it should be 10 – 20 minutes tops. After I look for a break in communication, “I got get going but I was just curious, are you keeping your options open to making money if it needs to interfere with what you are currently doing?” If they say, yes or what is it? Repeat, “Like I said I got to get going, but if you give me your name and your information I'll shoot you over some information about it and we can just follow up in a day or two. How does that sound?” Very simple and then you just follow up with them in a day or two. You can see what they enjoyed about your presentation when you follow up with that person. 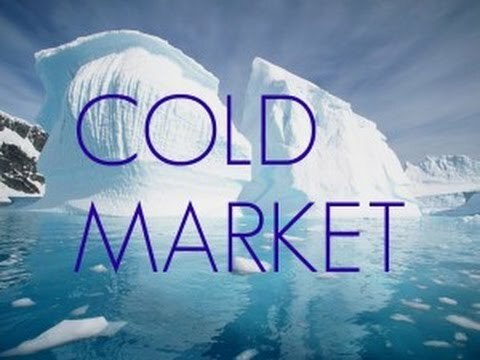 Watch the video below to understand cold market recruiting. Was the video helpful? You feel more comfortable to start conversation with people you don't know? If you found value in this free to share it with a teammate. Network Marketing Training: Do You Want More?